If you are looking for a detailed, high level, step by step guide on how to write a sustainable marketing plan you are in the right place. We address what sustainability marketing is in a previous blog so now we must look at the practicality of that and what that means in real terms of producing plans. Before we get too deep I want to share the marketing model that I favour the most. It’s simple and that’s why I love it. The channels now are so complex that having a simple plan that you can hand off to various experts to interpret and create from is more crucial than ever. That goes double for sustainability. There are so many considerations to be factored in that having a master marketing plan that allows practically anyone to pick it up and understand what you are trying to achieve means that the end user will also understand it in an easy way and nothing will get lost in interpretation. Building brand awareness and recall. For digital metrics we normally analyse things like visitor breakdown, percentage increase/decrease over time & revenue per visitor. This gives us a base to see how well stacked the potential pipeline is at the top. How do we get someone to take action and show an interest in something we are doing? That’s the question at this stage, which is really lead generation. While lead generation of course takes many forms and opportunities it’s the action that counts. The prospect is no longer just seeing the brand but doing something with it. At this stage depending on the lead generation action we normally measure metrics like total number of leads, lead growth over time, revenue per lead and cost per lead by source. We are now beginning to build a picture of how successful a campaign or brand really have been. It’s one thing to have a good media buying team that gets you lots of views but they need to be the right views. Moving prospects from lead to customers. Our first chance to create revenue from a prospect but crucially, not the last. At this stage we are analysing sales metrics, total sales, net income, refunds/abandoned carts and Customer Lifetime Value. Ensuring your customers keep coming back to you. One of my favourite examples of this is Jon Taffer and Gary Vaynerchuk discussing restaurant marketing ideas on Gary’s #AskGaryVee show. Watch here https://www.youtube.com/watch?v=PIjTUCUP5FM from about 47 and a half minutes. The essence of what we are looking for here is increasing the ROI. Buying the customer in the first place costs you money, servicing that customer costs you money and maybe you made a little back. The more repeat purchases the higher the ROI. The engage level is about building a community, creating brand advocates and increasing the Customer Lifetime Value to it’s maximum. This is our extra step that we believe is unique to us. At this stage of the marketing plan we add in two major factors, Carbon Offsetting and UN SDG Consideration. We have worked with the team at carbonfootprint.com to analyse what we do and while we are still a small business with minimal output, assign our own measure of our carbon creation. We talked about it and we decided to go with 30 hours worked = 1 tonne of carbon produced. That’s probably over compensating but that’s our decision. We then go through all 17 UN Sustainable Development Goals and consider how the plan we have written will impact any of these. Some of them are way bigger than what is feasible to consider in a marketing plan but we make a commitment none the less. Why always has to be the first step. Without knowing why you are doing something you are never going to feel connected to it, find a purpose for it. Purpose is a requirement to get the plan done. Purpose is the fuel. When I write a marketing plan I like to start with the highest objective possible. What is the overall goal of the campaign/month/year/business and how can great marketing help complete that objective? This starts me on the path to understanding the why. With sustainable marketing plans the why is often related to the product or service and it’s greater goal. Think of a wonderful all natural/organic toothpaste that is designed with a cradle to cradle lifecycle with a mission of changing the amount of wasted plastic used in the industry. Think of a multi-national bank that has a community outreach program designed to help small businesses get aligned with sustainable business practices earlier on in their entrepreneurial journey. The why behind these marketing plans is easy to understand and bring through the communications outlined in your plan. Like any good introduction this page needs to be the highlight reel of the plan. Summarise objectives, the market and any major themes that will play through the plan (I like to leave a brief overview of the RACES model just in case someone outside of marketing reads them – you should expect the same). It needs to highlight key people/departments and the reason that the plan is even being put together. Yes – the why of it all. If you have been given clear targets or as we often do, write smaller plans from bigger plans then this is the place to highlight the master plan. Again, this is so that everyone knows where the plan you are writing fits in with all the other cogs that are turning. I like to keep this to the RACES model so I translate where possible. It may be that you have to do some tweaking but finding a way to show the transformation from A>B is crucial and getting your plan all under the same model is going to be necessary for clarity. This is where you will want to open up communications with various managers. A good marketing plan should instruct the channel managers of the end results and then let the experts interpret and get to work. This is your chance to dive in and see where you are. It will of course depend on the size of the business but for Digital Marketing I like to make sure I’ve got ‘Content’, ‘Email’, ‘Website’, ‘Media Buying’ and ‘Community’ in my plans. This changes with companies but I am looking at what is going out, where are we spending our ad money and who is on the front line with your customers and what are they saying. I go with quantitative data here but I get there by having conversations and being able to give this data some qualitative narrative. Tell the story of what’s been happening. Not a full description or document but a short summary of the avatars you are focusing on in this plan. I prefer my clients have a master brand bible/guide that contains detailed avatar information and then I use that to peel out the major info so that we all see who is being spoken to with this particular campaign. I love SWOT analysis’. I hope you are getting the theme of ‘keep it simple’ here. I once again turn to the marketing model that I am working with (RACES) and analyse the predicted campaign against the areas addressing everything. I’ve nearly lost clients dropping harsh truths in the SWOT analysis but that’s the whole point of this. Accept things for where they are right now and then know that you are working towards that. I can’t wait for my corner office in our New York office in the first office building that creates it’s own energy, produces no waste and creates additional oxygen. We are not quite there yet so I don’t write plans like we are. Keep yourself honest about where you are and how that relates to the objectives you are facing. Don’t over promise and under deliver. As you might expect this is the place in the plan where we take everything we learned so far and make clear notes on where we are going to face a struggle if things don’t change. We are also going to note them from P1 – PX on how much priority to place on them. I add ‘Brand’ and ‘Governance’ to this list as well so that there is a little bit about the wider brand that is being used. This is a great place to note any general issues the brand is facing and how it will relate to the plan you are writing. The Governance section highlights any operational issues that might need attention, such as hierarchy positions open, budgets, project management issues etc. This is where the rubber meets the road. Break down the objectives that you are facing from the list of major objectives highlighted in the ‘Summary of Objectives’ and create your own objectives within that framework for your plans. An example might be Major: Increase Total Web Traffic by 20% YOY, Minor: Create 25,000 Unique Visitors With New On Site Content. Then explain how you plan to use the various channels to meet that objective. In this section be sure to include value propositions, media examples and as much detail as possible the customer journey. Depending on the size of your company will depend on where you get your budget from but this should be known from the beginning. Placing it here helps the finance team understand your need for cash flow as well as measuring the total required. Be realistic with your timelines, you are not going to complete a full website with unique customer journey and branding in 24 hours. Two worlds collide. So at this point the plan is very similar to most marketing plans but what I want you to do now is to go back through and think about sustainability. In the previous blog I shared my vision that a sustainable marketing plan is – “both sustainable in it’s practice and the product”. This means you can’t just sell a good product with bad marketing. You have to consider all elements of sustainability before you hand in your plan. 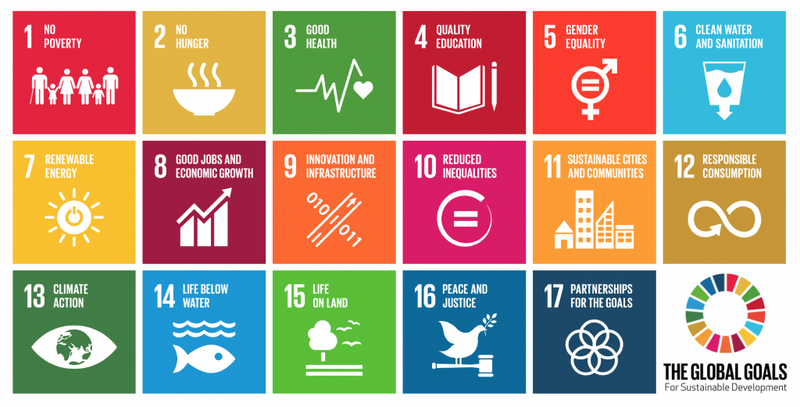 I like to us the UN’s Sustainability Development Goals as a light framework here. Remember that the sustainability team is doing most of the work here, your job is to make sure that you show your consideration. This works even better if you are working for a large company that has it’s goals already set out in it’s CSR report because you can take those goals that the company is focusing on and use those as the guide. If there isn’t a clear set of goals for your to follow (it could be an ISO or the Global Reporting Initiative metrics) then I suggest starting here because it’s bright, colourful and easy to interpret. Start with the product/service, what goal is it trying to help here? Then move on to the channels. Work with the managers and ask them to analyse their processes. A really easy one for the marketing team to think of is SDG’s 5 & 10. We use photography and video in everything we do now and considering who we are working with and the way we present any models in that media should be done with sustainability and equality in mind. Another easy one is SDG12, if you are using print in your campaign are you sourcing that from a reputable printer with the latest in sustainable printing techniques or are you going where it’s cheapest? Finally, take it back to the marketing. Remind the reader of the major objectives, the minor objectives that you have created with your campaign and the metrics you will be measuring success on. There we have it. That’s how to write a sustainable marketing plan. 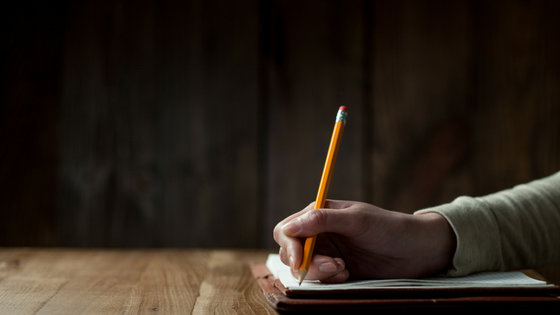 It’s as simple as writing a marketing plan that considers sustainability. That’s the easy bit. The hard bit is staying in integrity while you deliver this campaign. Standing by your word and ensuring that sustainability is governed throughout the project is key. Previous Post What is sustainability marketing? Next Post Why is the triple bottom line so important?